Indian landlords, is your tenant behind in paying the rent? 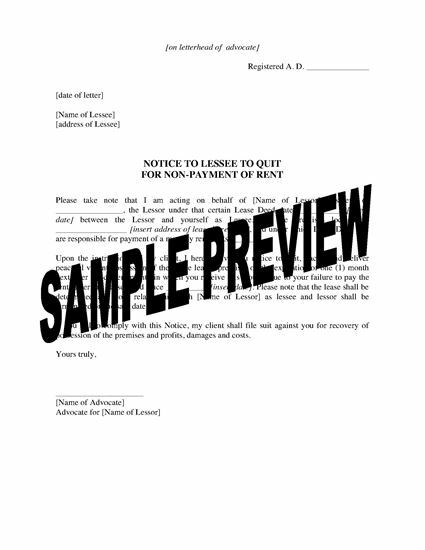 Have your lawyer serve the tenant with this Notice to Quit for Non-Payment of Rent. The tenant is given notice that he/she must vacate the premises by a date specified in the Notice, due to failure to pay the rent. If the tenant fails to comply, the landlord will bring suit for damages and for recovery of the premises. This is a reusable legal form. Buy it, download and save it, then re-use it as often as you require. 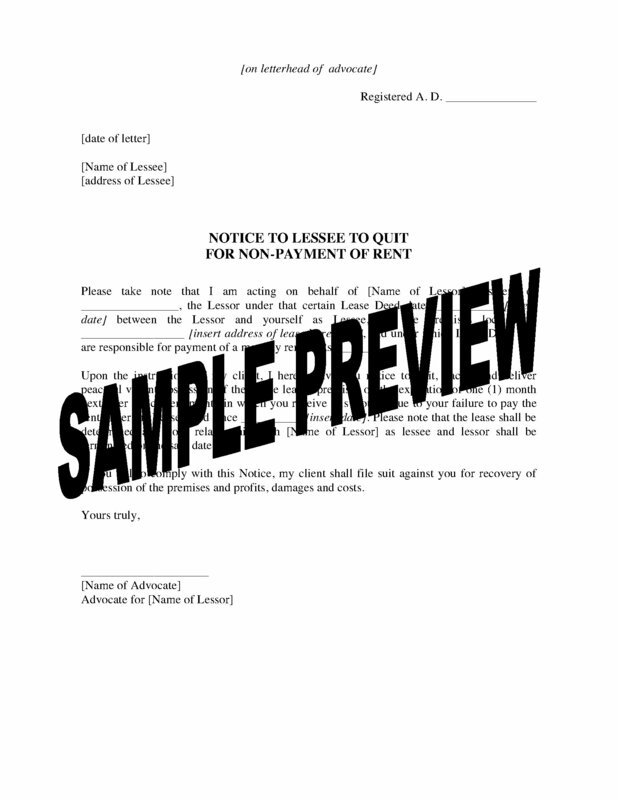 This India Notice to Quit for Non-Payment of Rent template is in MS Word format, and is easy to download, fill in and print.